This listing has been cancelled . . .
Hi, my name is Rico Visser. I am 19 years old. I graduated from Bowie High School in June, 2009. 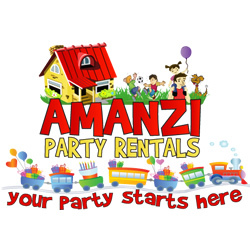 Amanzi Party Rentals is my first business. I decided in the summer of 2008, I needed to plan to make extra money for college. I am one of 8 children and anything to help with college fees and tuition will help. Coming from a large family with many siblings, we have had many opportunities to rent party supplies. I saw the opportunity in front of me and decided to start Amanzi Party Rentals in Austin, TX. Our first summer was a great first step towards my college goals. I have learned a great deal from customer service, accounting to marketing and purchasing. We have a wide variety of inflatables including moonwalks, bounce house, waterslides, dryslides, obstacle courses, concession equipment and many more. For up to date information and what is happening here at Amanzi please follow us on our Facebook page, Twitter page and our blog. The links are on the bottom of the page. We are your #1 resource for moonwalk rental and bounce house rental and water slide rental in Austin, TX. Remember YOUR PARTY STARTS HERE !! !